Investing in a scheduling tool that does the hard work for you is priceless. Running hospitals and medical groups involves many layers of complexity. There are many tasks that need to be performed seamlessly and efficiently. Coordination needs to be flawless when it comes to the medical industry because patient lives are on the line. Without a competent scheduling software, there are many issues that could arise. 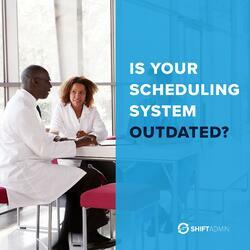 Fill out the form to find out what you risk when your scheduling system is outdated.